Submitted by Nell Herrmann on 24 February 2012. The scientists on Dr. Amsler’s team are getting closer to being finished with collecting samples for their ocean acidification experiment! Back in the lab the logistics and final setup of the Aqua Medic table continues to move forward also. In just a week the team has made huge progress and it’s been exciting to be involved. Yesterday I got to tend from a bigger boat called the "Tin Can" rather than a zodiac. One of the Marine Techs named Chance drove and it was a successful dive for Kate Schoenrock and Maggie Amsler. 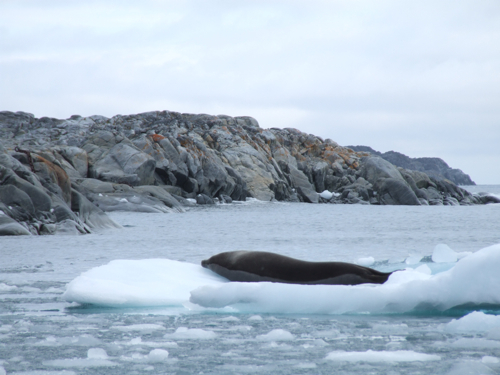 On our way back to the station, we saw a group of crabeater seals hauled out on the ice and a lone leopard seal hauled out on some ice not far from the crabeaters. 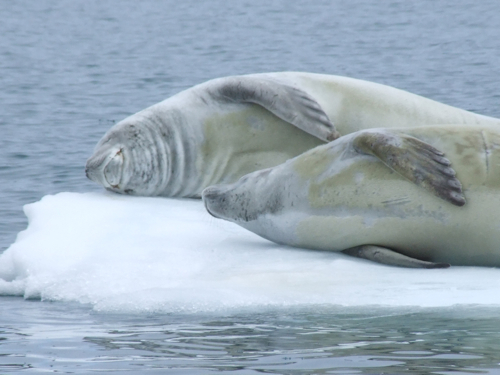 The crabeater seals had scars on their backs which Dr. Amsler told me were from leopard seal attacks. Dr. Amsler and his wife Maggie dove today at the Bahia Paraiso shipwreck to collect samples and to check on another experiment they set up last year. Kate and I were the dive tenders and it was a great morning; we’ve been having a stretch of sunny days with temperatures in the upper 30’s. Here's a little video to give you an idea of the site and what it's like to be out on the zodiac. I did some reading about the Bahia Paraiso (which means Paradise Bay) and it’s an interesting and sad story. 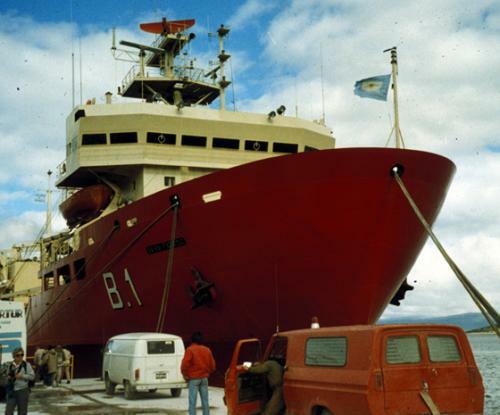 The Bahia Paraiso was the main supply vessel used for the Argentine Antarctic Program. It had previously been used by the Argentine Navy and played a role in the Falkland Islands War in the early 1980’s. 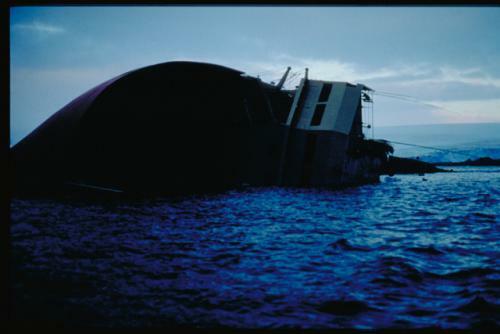 The ship was 435 feet long and was carrying 314 passengers, including 81 tourists, the day of the shipwreck on January 28, 1989. All passengers were rescued after the ship grounded on a rock between DeLaca and Litchfield Islands, about 2 miles from Palmer Station. The accident resulted in a 30-foot gash in the hull of the ship. Much of the ship’s cargo including diesel fuel arctic (DFA), jet fuel, gasoline, and canisters of compressed gas, was destined for the Argentine station, Esperanza, which is roughly 200 miles from Palmer Station. 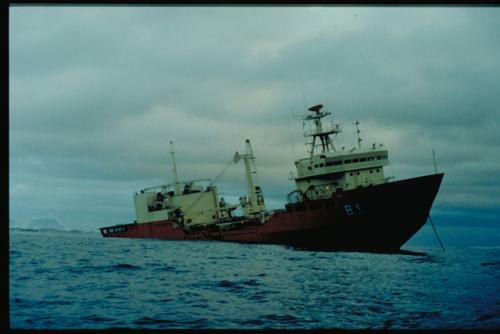 After the ship was grounded, fuel started leaking immediately, although the ship itself was upright for two more days; it finally sank after being capsized by a large storm. Four days after the accident, a 10.5 square mile area was covered by an oil slick. The total spill was about 200,000 gallons. 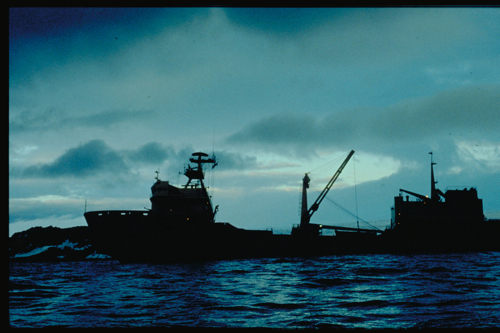 Thirty-six hours after the grounding, the National Science Foundation had a 3-phase plan in motion. The U.S. Navy provided specialists and oil-containment equipment including a 36 ft boat for skimming fuel, two 24 ft workboats, and 26,000 feet of inflatable booms and floatable bladders to hold the oil once it was collected. The National Oceanic and Atmospheric Administration (NOAA) and the U.S. Coast Guard also provided technical personnel to help. 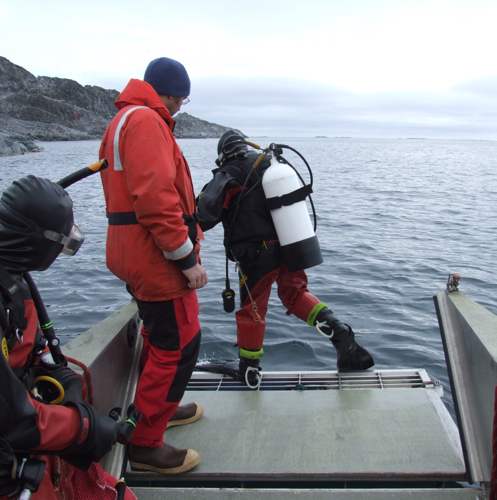 Scientists and other personnel at Palmer Station began a comprehensive sampling effort the day after the spill including water and sediment sampling, intertidal organism sampling and sampling of dead animals. This was done routinely for the first four weeks after the spill. 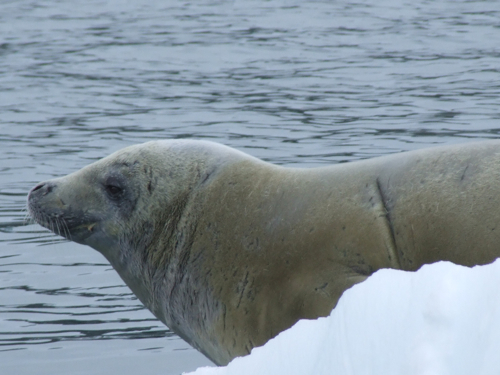 Two months after the spill, a research team from 9 institutions and 3 countries (U.S., Chile, Argentina) came to Palmer Station to assess the impact. Four days after the accident, several dead, oiled Adelie penguins and cormorants were found in a nearby bay. A week after the accident, thousands of amphipods, sea urchins, starfish and limpets were dead. Dead or dying birds were found on a daily basis with a peak in mid-February. A high mortality of cormorant and South Polar Skua chicks were observed. A high percentage of penguins dying at sea were also observed. 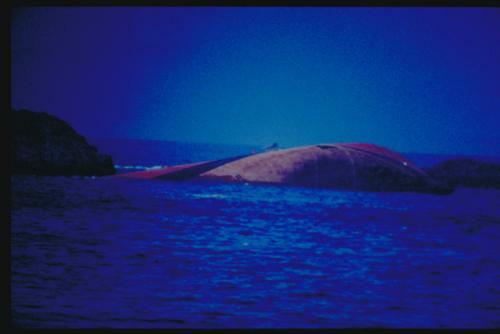 Twenty-three years after the accident, the hull still remains in Arthur Harbor, just off Anvers Island and is used as a diving site by the Amslers and others. 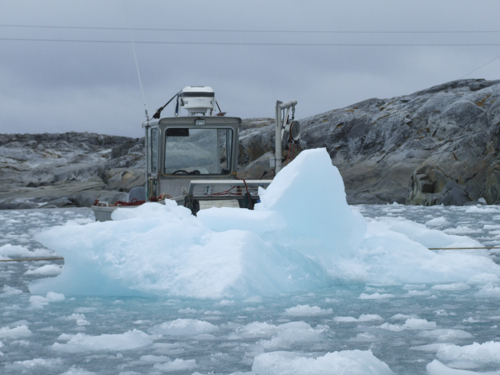 On the way home there was a good deal of brash ice that had blown into Arthur Harbor while we were out on the water. Here’s a short video of what it was like to get through that in the zodiac!